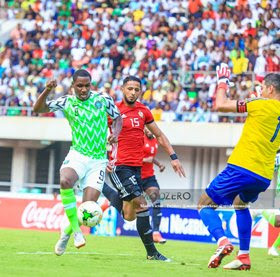 Gernot Rohr has insisted that Odion Ighalo's spot in the Super Eagles squad is not in jeopardy whether or not he switches clubs before the close of the Chinese transfer window on February 28. Allnigeriasoccer.com can reveal that the Changchun Yatai frontman had already made up his mind to remain in China from the word go as the European teams interested in his services failed to meet his wage demands. ''If he has to stay in the second division in China and he's playing well, why not?